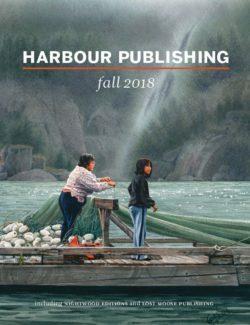 Harbour Publishing - Ampersand Inc.
Harbour Publishing is an award-winning independent book publisher owned and operated by Howard and Mary White. The Canadian Historical Association has cited publisher Howard White as “a tireless promoter and creator of quality British Columbia regional history,” recognizing that Harbour Publishing “has nurtured and brought into being a remarkable range of works that capture the essence of British Columbia.” White is also an award-winning writer of fiction, non-fiction, poetry, articles and essays, including the Stephen Leacock Medal for Humour. For more information on Harbour Publishing, contact Ampersand.